Active Rehabilitation Physiotherapy has been recognised for the quality and safety of their service with the award of accreditation by Quality Innovation Performance (QIP). QIP is Australia’s most comprehensive not-for-profit accreditation organisation, dedicated to delivering accreditation and support services to a diverse range of organisations including physiotherapy practices, diagnostic imaging services, dental practices and community services. “Accreditation is a major achievement and a clear demonstration that Active is committed to providing south-east Queensland with access to high quality health services”, Mr Gary Smith, Chair of QIP, said today. “Striving to continually improve how you support your patients to get the best health outcomes should be commended, and QIP congratulate Active Rehab on reaching this benchmark”, he said. QIP accreditation is based on national standards that are set by the Australian Physiotherapy Association (APA). The APA is the peak body representing the interests of Australian physiotherapists and their patients. To achieve an endorsement of accreditation, Active Rehab has demonstrated that they meet all requirements of the APA standards. John Fitzgerald, Practice Principal of Active Rehab, said accreditation was attained through cooperation, commitment and communication amongst staff members. “Everyone in the practice played a valuable role in ensuring we met the Standards. The recognition of working in an accredited practice gives our dedicated team the feeling of accomplishment and pride. “Active Rehab is proud to display the QIP accreditation symbol at our practice. “We want to communicate to our clients that their well being is our priority. QIP accreditation shows we are committed to providing quality care based on professional standards,” said John Fitzgerald. 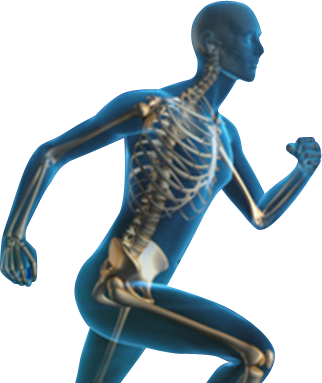 Active Rehab Physio has practices located at South Brisbane, Annerley, Hope Island and Brookwater. They offer a range of physiotherapy services ranging from the treatment and prevention of musculoskeletal conditions, chronic illness and continence conditions. To contact Active Rehabilitation Physiotherapy, please visit www.activerehab.com.au or phone 3163 1188, For further information on QIP, please visit www.qip.com.au or phone 1300 888 329.